This post is about What is Resistor? and Why we need Resistor in Circuit. Resistor has a property of resistance (i.e. opposition to something). 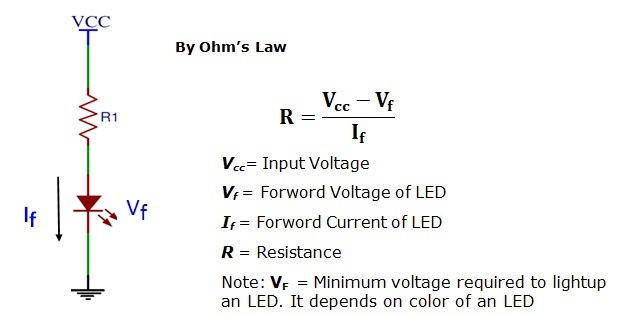 This property limits (controls) the flow of current to a safe value, so that other part in circuit can work properly. Simply, resistor protects circuit parts (components) from getting damage by current. 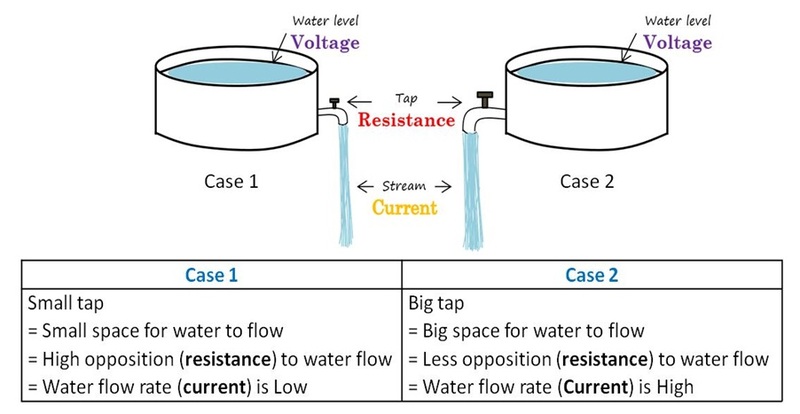 With reference to Ohms law, V = I.R An example of water analogy shown in following will explain the working of resistance in circuit. In this given circuit to prevent LED from damaged by excessive current, resistors (R1) is used. By connecting LED and resistor in series current can be limited to a safe value. Resistors can be categorized on the basis of Value (fixed or variable), Physical appearance (shape and size), Mounting scheme (through-hole and surface mount) and some other special types. I hope now you know what is resistor and why we need resistor in circuit. In next post we’ll learn how to calculate resistor value using color code method. Resistor is most important element in any electronic circuit, atleast I have not yet worked with any circuit without single resistor. Roshankumar Bhamare received the Master degree in Electronics and Telecommunication engineering. He is currently a Lecturer in Engineering College. He is life member of Indian Society for Technical Education (ISTE). He is also a co-author of BINARYUPDATES.COM. His current interests include Electronics Design Automation (EDA) tools, Microcontroller based circuits.